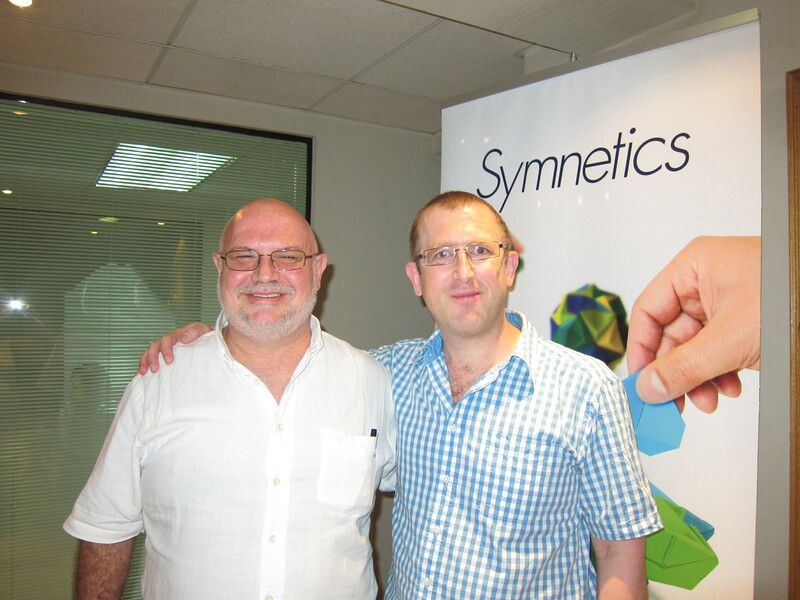 I am currently in Chile, where I gave the first presentation of my Integr8 Model for the transition of consciousness at Symnetics, a management consultancy in Santiago. 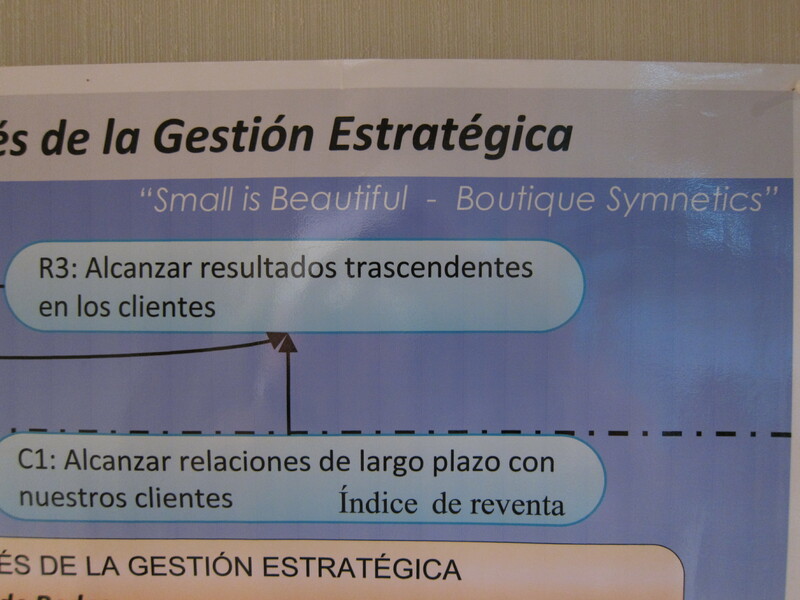 I spoke for around two and a half hours on chaos, complexity, and also the concept of “Small is Beautiful” since Julio, the fonder of Symnetics, Chile is a great fan of the late economist E.F. Schumacher, who wrote the famous but not greatly understood book “Small is Beautiful”. This was an extremely profound moment for me, since in my model of course I address the concept of “feeling”, but for me, this does not fully encapsulate love. For me “feeling” is so important when studying complexity, because it is opposite to “thinking” about complexity, or grasping a concept just by the intellect. When you can really feel the totality of connectivity, when you really feel yourself as embedded into the whole of nature, of Gaia, then you are motivated to change your behaviour. If you only grasp concepts through your intellectual mind, then you have not yet experienced complexity, or your embeddedness I feel. We also have to address feelings in relation to Transition. It is one thing to analyse the problems of the world intellectually, but there is a great danger that we react negatively to the information we receive, and of course unless we address people’s emotions and how they feel about new concepts of information, the danger is that they are then unable or unwilling to undergo the transitional process to reach a much deeper level of understanding and insight that comes from studying complexity and complex systems. Also, I had been asked to spend a few minutes explaining my own background to the audience before the actual start of the workshop. 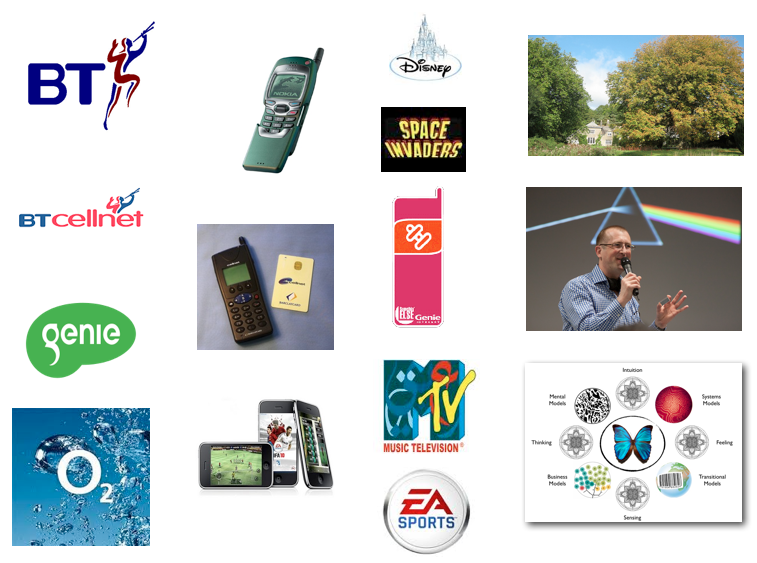 I used the following slide, to show how my career had progressed from being a psychologist in the early 1990s with BT, to Business Development and Product Marketing in mobile telecoms, internet and gaming, to my decision to spend a year doing my MSc in Holistic Science at Schumacher College. 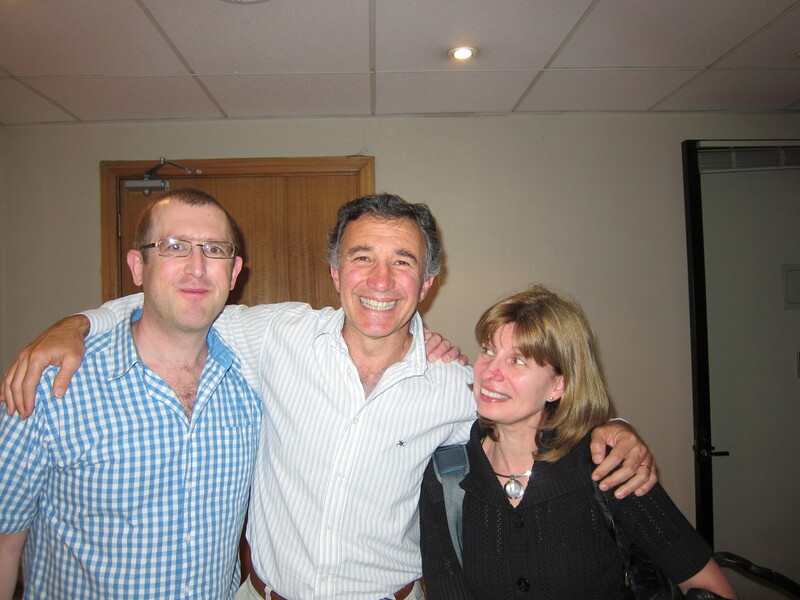 Julio asked me how I had come to end up in Brazil teaching complexity and sustainability, having had the career I had had in the UK in the mobile and gaming industries. Well I have been through a huge personal process of transition over maybe the last 10 years, and this of course includes my own spiritual path too, of which I have never talked about on this blog. I am very consciousness that my own spiritual path is not a common one, and of course I am also in a very Catholic continent, so I am always consciousness of never wanting to be accidentally controversial or insulting, as my spiritual path is not one of evangelising. Far from it. But I have been greatly influenced by many indigenous teachings, not just in Latin America and North America, but also of the Celtic teachings and practices of my own ancestors from the British Isles. The concept or should I say the feelings of love, that derive from a feeling of great connectivity and oneness with all that is motivate me and inform all that I do and all that I am. But I am not yet ready to really open up this side of myself in my teachings, which I am trying to make acceptable in a corporate and business context. Some people such as Otto Scharmer do do this extremely well, in terms of how he teaches Theory U. I had said that well I am British, and often us British, with our “stiff upper lips” do not often talk about love in business. But Thomás, who had asked me about Love, said to me not to be embarrassed about talking about love since I was in South America where they love to talk about love. I often wonder what my lessons are at this point in my life right now, and also I have tried to say to people that I am not trying to bring something from Europe to South America and telling people this is what they need. My approach that I am trying to develop is to create something new, with the best of Europe and the best of Brazil and South America (and anyone else really for that matter!). So here perhaps is my biggest lesson. I need to find a way of becoming a little less British, and feeling more comfortable with the word love.